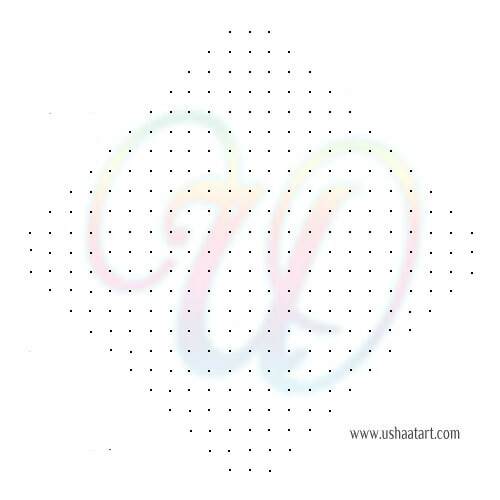 Put 23 dots 3 times, then by leaving 1 dot at both ends put dots and stop at 3 dots. 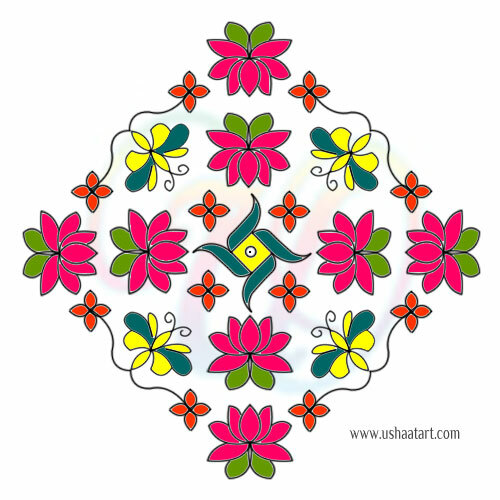 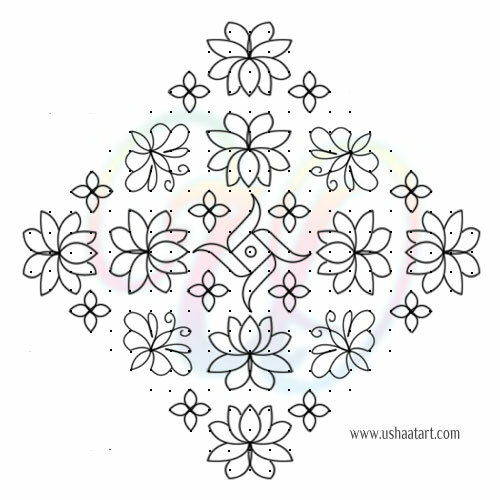 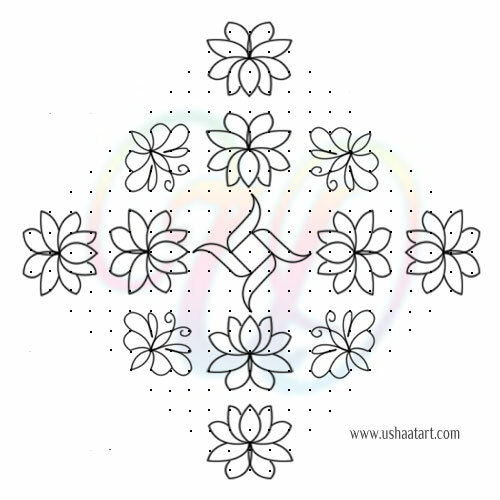 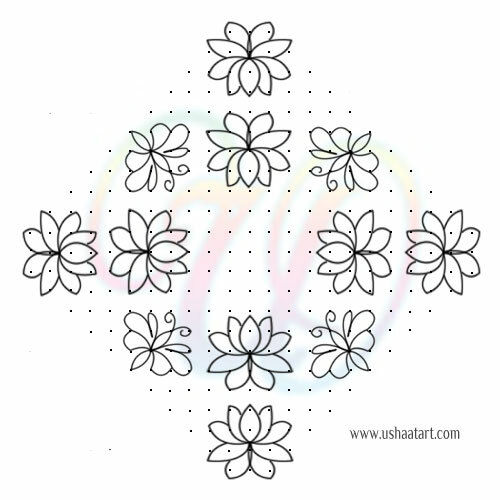 Draw lotus flowers as shown below. 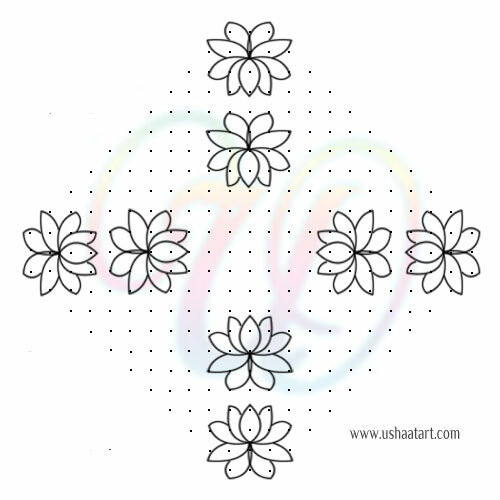 Connect small flowers and butterflies as shown.